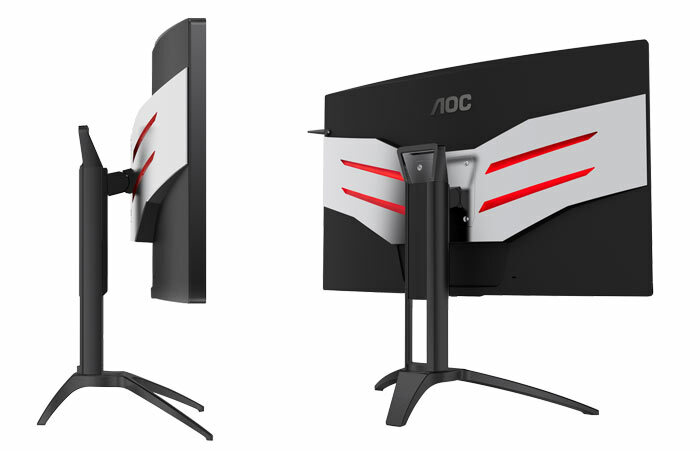 AOC has launched the Agon AG322QC4 premium gaming monitor. In an email to HEXUS, the supplied specs look very similar to something we saw earlier. 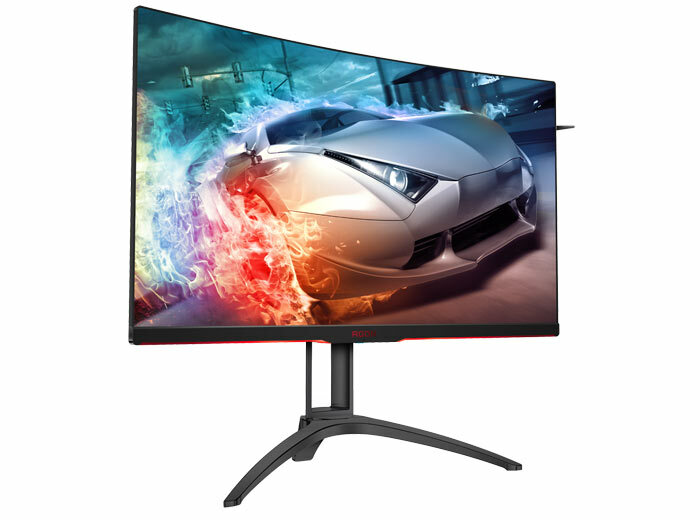 For the second time today we have news of a 31.5-inch gaming monitor sporting a 1800R curved VA QHD panel, HDR visuals, FreeSync 2, a 144Hz refresh rate, and a 4ms GtG response time. However, AOC provides different levels of detail, a slightly different balance of features, and has kindly informed us of those most essential details - pricing and availability. Beyond the above basics, AOC stuffs in a cornucopia of its own enhancement technologies. AOC’s Low Input Lag mode is present to improve an already responsive monitor. Furthermore, there are AOC Game Mode presets to deliver custom settings for different genres such as FPS, Racing or RTS. AOC Shadow Control “brings the battle out of the shadows” by brightening dark areas or sinking them back into blackness on the fly, without affecting the rest of the display. Standard eye health features are present, with low blue light and flicker free modes present. Interestingly, the AOC monitor features a wired remote OSD controller (QuickSwitch) too. AOC’s Ergo Base offers built-in cable management solution and a carry-on handle for transportation. You can make adjustments of 110mm in height, 30~30° swivel, and -5.5 to 29° tilt. If you don’t need the stand, you can use any 100 x 100 VESA mount instead. To further appeal to the gamer crowd AOC has fitted the Agon AG322QC4 monitor with LED lights on the lower bezel and the back. You can choose between red, green or blue lights with three intensity levels for increased customisation. The AOC Agon AG322QC4 will be available in June 2018, says AOC. A launch MSRP of £529 / $599 / €599 has been set. AOC are really coming into their own as of late, I will definitely be at least keeping an eye on their products, I am not interested in a curved screen however. i wasn't either.. and then I used one. VA type panels are still capable enough(a good VA would be preferable over a poor IPS panel for example),but the distortion of a curved monitor is not really great for image editing.